Mardi Himal is newly opened exciting teahouse trekking, located in the Annapurna region west of Nepal. This route is allowed for trekking from 2012 then slowly increased trekkers every year and gets a positive reaction from the visitors. It is also an unseen gem of adventure trekking provides many fascinating and dramatic floras as well as faunas. Where the travelers can get a chance to explore various kinds of landscape, traditional culture, lifestyle, clean and green environment and massive view of Annapurna and other awesome Himalayan peak ranges. The thrilling trek heads continue through a terraced field, bloom rhododendron forest, little stream, stony lands and some travelers has been combining with Annapurna base camp trekking. The trek head towards Mardi Himal base camp situated at 4500 meters high from the sea level. Thus, it is also one of the highest altitude wetland and most liked new treks in Nepal. Especially, you should be fit both physically and mentally for this trek, and health requirement is most important. Fitness and health conditions are must be well and before booking a trip, you are requested to consult with a doctor and then make the decision about this kind of trek. This awesome trek begins from Kathmandu city, including sightseeing tours and next early morning scenery drive (6 hours) or flight (30 minutes) to Lake city of Pokhara from Kathmandu. Pokhara is a very popular tourist area and from here many treks starts like very famous Annapurna base camp trek, Ghorepani Poonhill Trek, Ghandruk Village trek, sickles trek, Mustang trek, Dolpo trek also. From Pokhara in the morning, nearly one-hour luxury drive towards Kande from where the real trek begins to then the trail goes through the terraced fields, a beautiful village. The magical full bloom rhododendron forest which is only can see in the spring season, not all season. The trek continues spending at forest camp, low camp, village camp and high camp, then following days provides excellent sunset, sunrise closes up the sight of Macchapuchre and Mardi Himal and many other neighboring flurries of snow-capped mountain peaks. After ups and downs, at last, achieve the highest level of the trek is west Mardi Himal base camp, located at 4500 meters above sea level. Then return down the trails for back to Pokhara and Kathmandu, which is complete within 12 days with arrival and departure date. Best season for the Mardi Himal trek, from late September, October, November, early December and February, March and April are most recommended trekking season in Annapurna region. In this season, the visitors would be seen clear vistas of white snow mountain peak range with Perfect temperature and these months are quite a popular season for almost the trekking in Nepal Himalaya. This is a moderate level trek and required physical fitness with should walk four to six or seven hours a day for this trip. There is most guesthouse available for spending the night during the trek time and they provide hygienic food and drinks. We Nepal Glacier Treks always focused on quality and healthy service on the mountain and our prime key is safety and satisfaction. 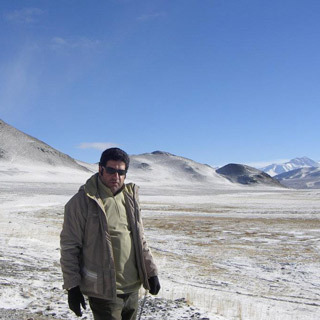 This exciting trek would lead by professional as well as licensed holder trekking guide. For support, all necessary assistant guide and porters will use. This is a conservation area, so we should take permit before beginning the trek, TIMS (Trekking Information Management Systems) is compulsory to carry for this trek. You can join and book this wonderful Mardi Himal trek for your next exciting holiday around Nepal Himalaya. All two-way transfer (airport- hotel- airport) in Kathmandu. Hotel accommodation in Kathmandu and Pokhara. Kathmandu to Pokhara- Kathmandu transfer by tourist coach. Guide/ porters fees and accommodation throughout the trip. All amenities of teahouse during the trek. TIMS (Trekkers’ Information Management System) and Permit of ACAP. Necessary all entry permit during the tour in Kathmandu valley. All necessary expenditure throughout the end of trekking. Any other expenses which are not mentioned above “Cost Include” section. Day 01Arrival in Kathmandu (1345m)We pick you up from Tribhuvan International Airport (TIA) and transfer to hotel by private tourist vehicle. 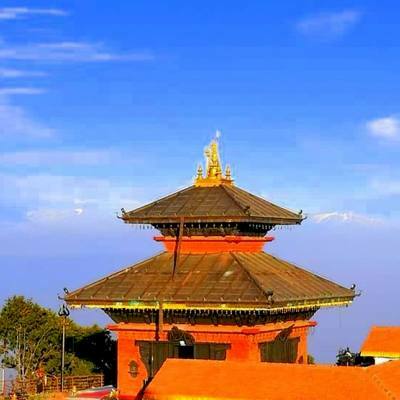 If early arrival, you can visit near Kathmandu yourself and overnight hotel in Kathmandu. Day 02Day 02: A pre- trip meeting and Kathmandu city sightseeing tourToday, we call a pre-trip meeting at around 7:30 am in the morning at your hotel or our office. Please bring a passport, a readable copy of your travel insurance policy, three copies of passport size photographs. After the meeting, we start Kathmandu city sightseeing tour with decade experience guide. After sightseeing back to the hotel, trek preparation and overnight hotel in Kathmandu. Day 03Drive to Pokhara (900m) from Kathmandu 6 hoursIn the early morning after breakfast, we drive from Kathmandu to Pokhara. It takes around six hours comfortable and scenic drive along Prithibhi highway. And upon arrival in the Lake City of Pokhara, we visit around lakeside, shopping personal trekking gear there and overnight hotel in Pokhara. Day 04Drive to Kande and trek to Pitam Deurali (2100m) 4 hourToday, we drive around one hour from Pokhara to Kande is the trek starting point. From there, we head towards Pitam Deurali, passage suspension bridge over the river, beautiful monasteries, green forests and observing the local traditional Gurung culture as well as a view of the snow-capped Himalayan range. After walking for approximately four hours, we reach Pitam Deurali and overnight in a local guesthouse. Day 07Trek to High Camp (3580m) 4 hours 7 hoursWe trek to high camp after sunrise early in the morning today. The trail would be tough and steep hills up. We will pass 3500 meters high altitude before to get the high camp and the rocky, barren and steep walk might be challenging today. The weather will change in the mountain and it is common things at higher altitude. The visitors might see beautiful views but also get ready for the most awful weather situations. For the trek, our guide will brief about a trek to high camp. We can get a huge opportunity to see excellent Himalayan views upon arrival in there and overnight local guesthouse in high camp. Day 08Trek to Base Camp (West) (4500m) and back to high camp 7 hoursToday the trek would be the most challenging and exciting day of our Mardi Himal trekking. We head towards the base camp and final climb will be an adventure, but it’s may an awesome experience of Himalaya Trekking in Nepal. The maximum altitude is 4500 meters high from the sea level. 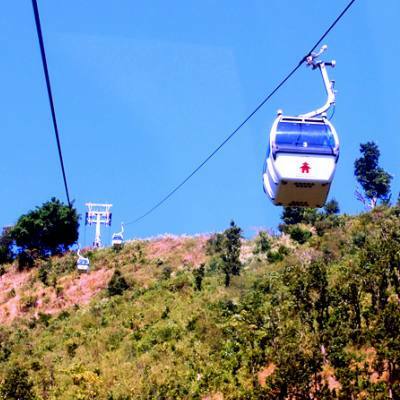 From there, we can see an amazing the views of the white snow mountain peaks. You have to ensure that ice might be there and trails also slippery at those times. This would be one of the best moments if you are a first time in the trekking in Mardi Himal. After enjoying views of the Himalayan range, we return back to high camp for overstay the night. It takes around six to seven hours for whole activity and overnight local guesthouse. Day 09Trek to Sidhing (1850m) 6 hoursWe trek to Sidhing from the high camp early in the morning. Today, the altitude would be less and it is only 1850 meter than high camp. The trail provides an amazing landscape as well as their culture and lifestyle. After walking four to five hours, we reach Sidhing village. Overnight stay at the local guesthouse in Sidhing. Day 12Final departure! This is our last day of trekking package, we drop you at Tribhuvan International Airport (TIA) from the hotel. Sometime the unseen issues the trek can be uncontrolled like local political situation, weather, strikes, natural disaster and other unnoticed issues. But, our trek leader will control everything at the time. This is our guarantee to make success your holiday in Nepal. We can change the itinerary as per your requirement.